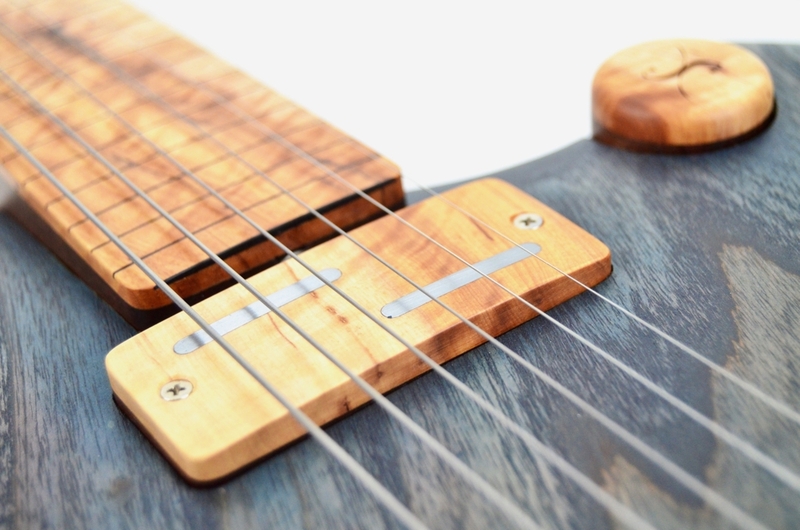 The latest addition to my live edge series is a fretless electric guitar. Whether you’re into microtones, perfect temperament, or glissandos, it’s all about those blue notes; you could say they’re in the DNA of Blue Gene. 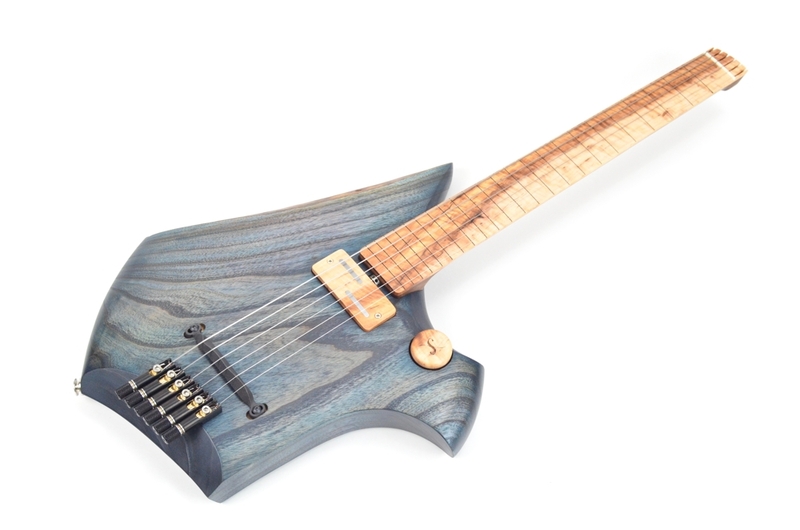 Pared down to essentials, this minimalist instrument has a ultralight, deeply contoured one-piece body of Catalpa. 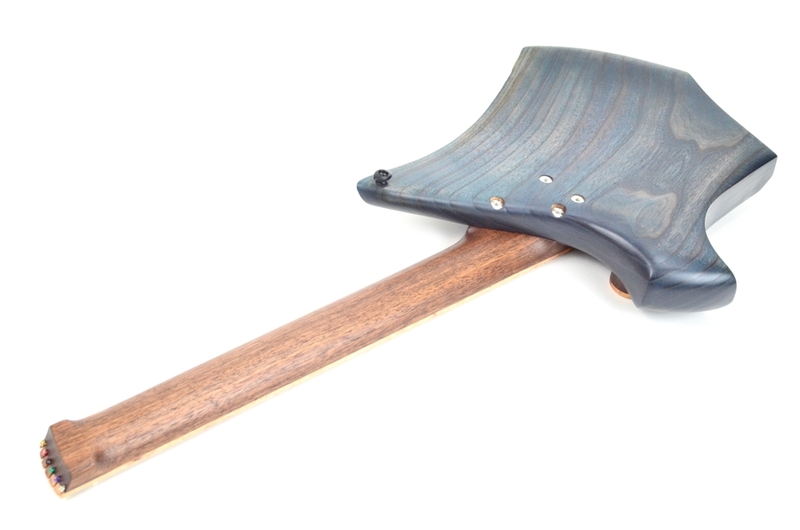 Since the natural colour of the wood is not very inspiring, it is tinted with a custom indigo blend of Rubio Monocoat oil, giving it a unique hue and sheen. 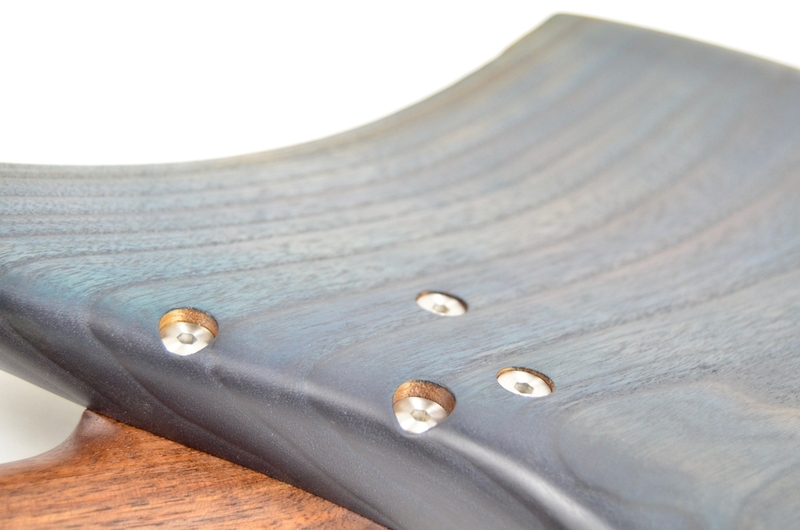 The black walnut neck is capped with spectacular figured hop-hornbeam. 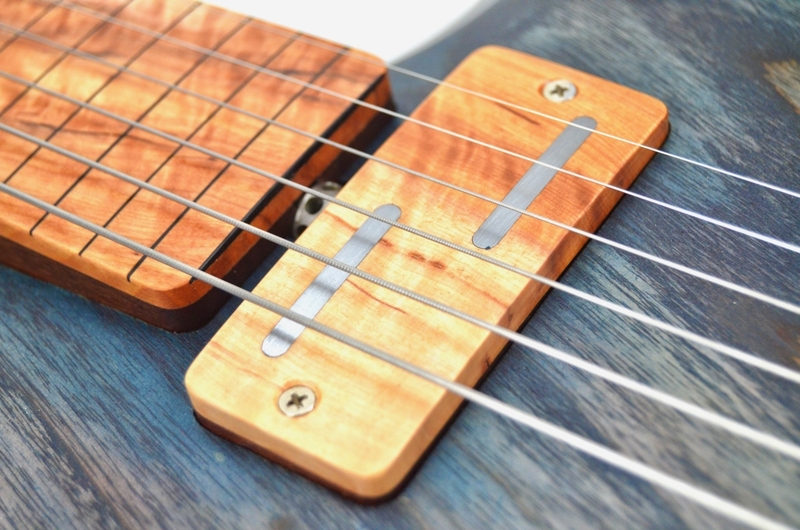 The single volume control and split-single pickup by Ezi Pickups are of course made to match. In fact, this guitar is registered with the EGB’s Local Woods Challenge since all timber was sourced from near my workshop. Despite its apparent simplicity, there are a few example of cutting-edge technology in the guitar. 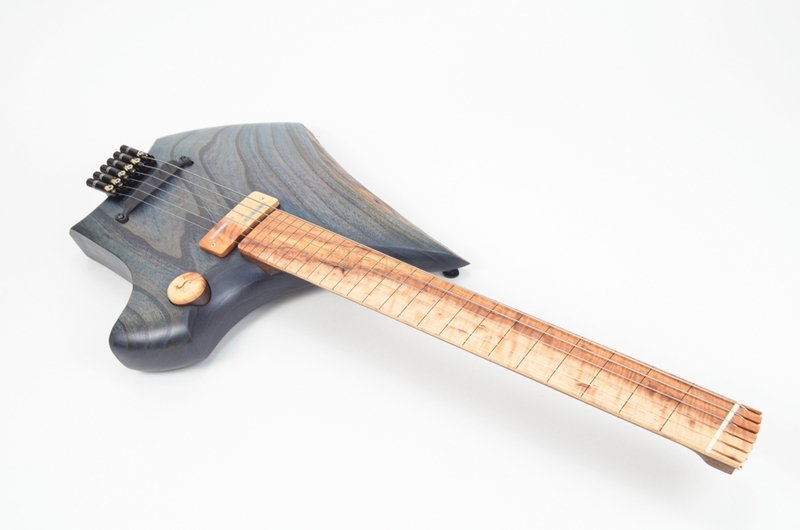 The Sankey logo was laser-engraved into the top of the volume control; the plane of the fretboard is actually surfaced to a complex surface geometry by Plek; the bridge was made by the brand-new technique of 3d printing in metal; and the tuners are the first iteration of my new Wrap-Lock concept, which is a big improvement for the function of headless guitars.